Is a Trane AC/Heating Unit the Best Choice? Is Trane AC Better Than the Brands Carrier, Goodman, and Lennox? The answer typically depends on several factors, first of which is what models are being compared? Technically, the starting question should be how professionally it will be installed. It can make more of a difference than the brand or model. In order for any system to operate at peak efficiency it must be installed according to the exact manufacturer specs and adhere to required codes. Price varies widely. Generally speaking, you can expect to pay anywhere between $4,000 to $12,000 for a new unit, however prices change as new models are developed. An additional factor that can affect costs are the steel tariffs, which may demand increases of as much as 20% over time. Trane Entry-Level Air Conditioners & Heating Systems (Good). Many a/c specialists frame new systems as good, better, or best when suggesting a new air conditioner or furnace. The lower end of the price spectrum (good) represents entry-level features and efficiency rating. At this price point, there really isn’t much difference between the brands. With base models, manufacturers operate more like assemblers than engineers as the design hasn’t changed very much in recent years so most of the components are about the same. These are usually built by third-party companies, not the AC manufacturer. The big difference falls in quality of materials used for cabinet and coils, and the design. There are a few exceptions however, for instance, Trane. 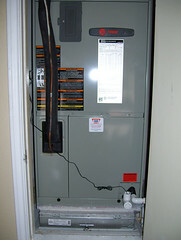 Trane is one of the few brands that still produces its own compressor, the Climatuff. The compressor is the heart of the whole unit, even though there are many vital components to your system. Of those compressors on the market, most professionals agree the Climatuff is a tank. A Trane AC is well known for the reliability of their compressor, however, beyond the Climatuff, you’ll find little difference between Trane, Lennox, and Carrier, the three systems considered most reliable. The other manufacturers employ a Copeland brand compressor, considered a good compressor, however the Climatuff is recognized as the ideal by most HVAC specialists. HVAC professionals recommend avoiding most of the non-name brand systems due to the fact that even though they initially appear very similar, their units don’t have as long a life span and/or they are frequently requiring service of some kind. The reality is that any kind of challenge with your system will result in lack of heat or cooling, which will be viewed as a system failure by the consumer, no matter how small the issue. There is another manufacturer, Goodman, which is worth mentioning, however, while they are competitively priced, they tend to have challenges over time. Is the Brand Name of the AC Unit Really Important? When discussing entry-level systems, then brand name matters. Not always because of performance expectations, but due to the reputable recognition of the brand name. You’ll often see new home ads that tout a “new Trane AC” or “new Lennox AC” unless it’s a brand you may not recognize… then you’ll just see “new air conditioner” listed. Do you want your home to sell in 5-days or 45 days? How much is a 5% failure rate vs a failing rate of 10% of value to you? How much is a device that lasts 15-years vs. a device that lasts 10-years worth to you? Trane Mid-Level Air Conditioners & Heating Systems (Better). The “Better” category includes those systems that aren’t the best, but nearly so. They’re not the most efficient, fairly efficient; nor do they have the most features, but include many great features, etc. Generally, with these units, you’ll get good value for your investment. It’s all about the details when it gets down to it. Those in the Better category are built better, sturdier, with higher quality materials. You can tell by how it feels, how it sounds when it runs, even physically shaking the unit, it’s obvious a Trane is going to continue to operate efficiently. Everything is tight and well sealed for optimum functionality. Details like teflon coated screws to prevent rust and subsequent loosening, causing unnecessary noise when your unit is operating, and condenser coils with full access for cleaning, preserving efficiency over the life of your unit, add value by improving quality that many competing brands lack. From the perspective of HVAC professionals, Trane systems are uniquely well engineered and rigorously tested. Trane has few competitors when we talk about “better” A/C systems. Granted, contractors can purchase their systems for far less than the casual consumer, however, as a result we are able to choose the best. Of course we want that reliability and efficiency for our own homes, so it only makes sense if many of us have Trane systems. Keep in mind, this article is specifically discussing conventional central air conditioners and heaters, not ductless air or VRF (variable refrigerant flow) units, which are another animal altogether. Mitsubishi is the leader in that market, and have actually announced a Trane joint venture recently. Trane is regarded as the ultimate system in the category including 18+ SEER with variable speed inverter compressors, fully integrated, wi-fi operations, and ultra-quiet; their model XV20i beats them all. In all fairness, the heat pump XP25 and plit gas/electric XC25 by Lennox are as good as the XV20i with some features, even better than Trane in a few categories, yet there are a couple of attributes as well as abilities in the Trane unit no one could match. Lennox, Goodman, Rheem, York, Carrier, Maytag– all fall behind this version in some categories. Quiet — At this level, quiet is an understatement. Trane’s premium versions are almost completely silent. Comfort — Trane’s variable speed inverter driven compressor is able to keep temperature levels in your home consistent room-to-room to 1/2 of a degree of your setting. Remarkable. Efficiency — Lennox alone can claim higher efficiency rankings with the XP25 as well as the XC25, but the Trane also performs well in this area, and is by far much more reliable compared to the majority of their competitors in efficiency. Longevity/ Warranty — Trane’s 12-Year components service warranty outdoes the Lennox XC as well as XP by 2 added years. With one of the longest component warranties readily available on any kind of brand-new ac system, it’s clear Trane realizes their equipment will last a long time. So … Is Trane Worth the Additional Money? If it’s not already obvious, then let’s state it clearly: Yes, if your budget permits, Trane is worthy of the extra investment.